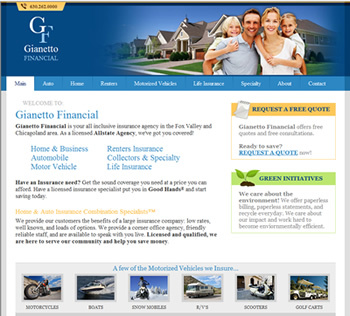 A professional-looking website is essential for any business. Often it is the first impression your business makes on potential customers. The key to great website design is simplicity. Your website should not get in the way of your brand, products, or services. It should be usable, efficient, and drive visitors to one conclusion- they should do business with you! We’re here to serve you. No one knows your business and industry as well as you do! It’s our job to capture your vision and create a beautiful, functional website that grabs your website visitors attention. 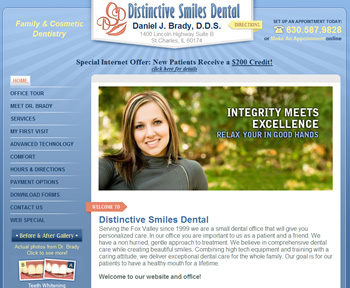 Your website design is a reflection of your business- make it stand out from the competition. If you run a business with beautiful products, chances are you’d like the design to emphasize your product imagery. Ease of use is often derived from the main menu, aka the “navigation”. We can help build the perfect navigation into your website design, allowing your website visitors to easily navigate your products and services. Any business is bound to accumulate a certain amount of product imagery and photography. When it comes to website design, displaying that imagery must be factored into the design from the start. With the right tools and know how, Online Transition can help build the perfect product showcase. You can even add and update photos yourself, anytime, all online! Asking your website visitors to send you an email just doesn’t work. Website visitors prefer to contact a business by submitting their information in an online form. Online Transition can add contact forms and sales lead generators to any website design.